Create the perfect mat for all of your workout needs. Looking to become the next Hulk? Or maybe the next great Olympic gymnast? Whoever you strive to be, at RubberFlooringInc we are certain to have the perfect mat for you. 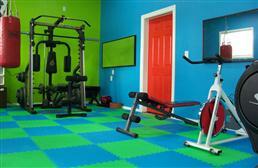 Our most popular weight room mats for home and commercial gyms are rubber mats. These weight lifting mats are thick and offer a great deal of shock absorbency. 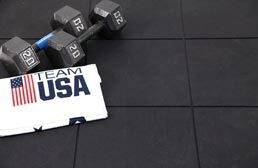 These weight room flooring mats are most popular with high impact workouts and plyometrics. For tumbling, wrestling and gymnastics, we offer a wide range of workout mats that are durable and very shock absorbent. All of our foam workout flooring is non-porous and very easy to clean and sanitize. So you want to look like Arnold? Or maybe you want to be the next Mary Lou Retton? Whoever you want to be, the right mat is essential for getting you to your personal goals! 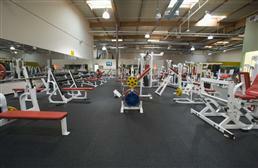 Our weight room mats cover a wide spectrum of gym activities and levels of intensity. From Yoga to Olympic Weightlifting and everything in between, we are certain to have the perfect mat for you. Our gym mats are available in two different materials: rubber and foam. 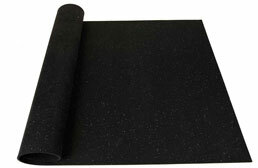 Most of our mats are straight cut mats, but we also offer folding mats, rubber tiles, and rubber rolls. 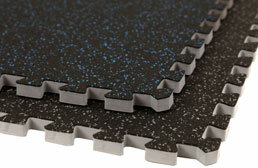 Straight cut mats are great for small matting areas whereas our tiles and rolls are better for larger matting areas. All provide superior shock absorbency and are very easy to clean and maintain. 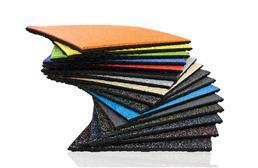 Our rubber gym mats are our most popular mats. These mats are great because they are highly shock absorbent and will protect your subfloor from damage when dropping weights. 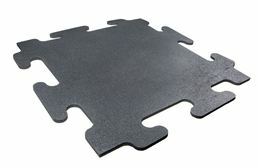 These mats are very popular with Olympic exercises where heavy weights are dropped. 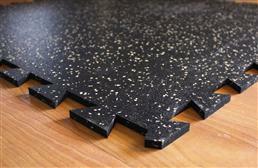 Within our rubber mat flooring selection, we offer two types of mats available in various thicknesses. They are porous and non-porous mats. You are probably now thinking why does that even matter? Well let’s break it down. 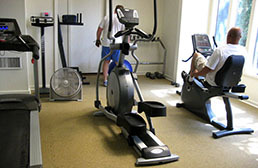 Porous mats are the typical mats that you see in most commercial and residential gyms. They are black and usually feature some sort of color fleck. They are very inexpensive and provide a good amount of shock absorbency. 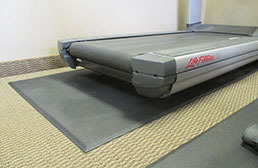 Easy to move and store, these mats are also easy to clean and maintain. Since these mats do have pores, sweat and other liquids can get trapped in the pores if left for long periods of time and can leave a white residue on the floor. 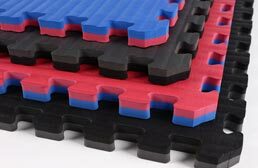 These rubber gym mats are less dense than our non-porous mats, and are great for jump training and plyometrics. 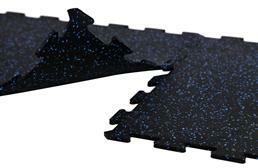 Our most popular mat is our Straight Cut Mat. 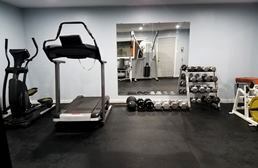 Non-porous mats are not as common as porous mats but are used in both home and commercial gyms. 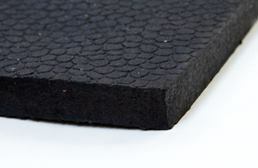 These rubber mats are typically used in areas where heavy heavy weight will be used. Think about it the next time you are at the gym and you see a bunch of dudes that look like gorillas holding huge weights. Take a look at the floor they are standing on and you will know exactly what a non-porous mat looks like. These mats are great for dropping heavy weights on because they are more dense than our porous mats. Which means they will provide you with the best shock absorbency money can buy. 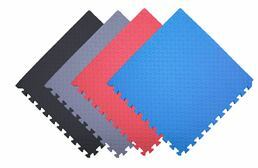 Since these mats have no pores, sweat and other liquids can not penetrate into the mat which is the number one quality commercial gyms love. This helps to prevent the spread of disease and makes them easier to clean and disinfect. A good example of a non-porous mat is our 4' x 6' Premium Mats. 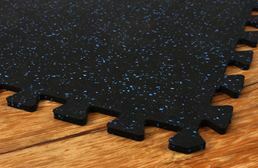 Rubber tiles are a great alternative to the standard gym mat. I mean honestly, after a long hard day of working out, who wants to move a heavy mat? Tiles are great because they allow you to customize your space. For some installations, a 4’ x 6’ mat is not enough, but getting anything bigger is hard to find and having multiple mats may not be the best solution. With tiles you can choose how large of a space you would like. Most of our tile options feature three types of tiles: center, corner and border tiles which allow you to create a finished mat. 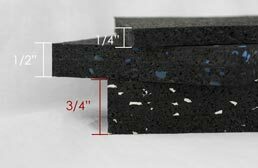 Our rubber tiles come the same way our mats do: porous and non-porous, and feature the same benefits as well. All of our interlocking tiles are very easy to install, clean, and store. 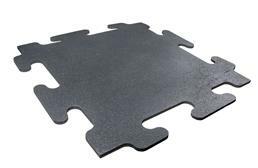 Our most popular rubber tile is our 8mm Strong Rubber Tiles. 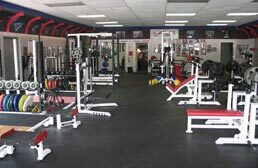 So you like the idea of having mats in your gym, but you don’t just want them in one area but throughout. 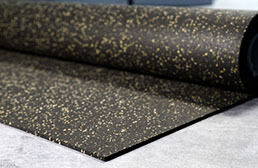 Then the perfect flooring option for you will be our rubber rolls. These rolls provide you with the same porous mat feel, but in a larger size. Our rubber rolls range in thickness from 5mm to a ½” thick and can be installed with double sided tape or glue. With offerings of custom cut and pre-cut sizes, you are certain to find the right amount of flooring to fit your space. Our rubber rolls are very easy to clean with the use of a broom or vacuum for dirt and debris and a mop for stuck on stains. When mopping we recommend the use of a mild soap and water solution with a synthetic mop head for best results. 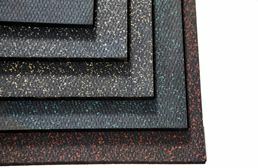 Our foam mats are great for tumbling, gymnastics, wrestling and other floor exercises that require impact absorption and comfort. 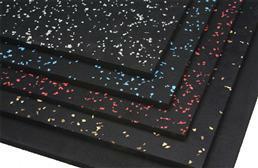 All of our mats are foam based mats with some featuring a vinyl casing or top. 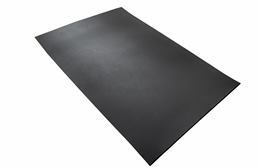 This vinyl top or casing helps to keep the mats hygienic, which is very important when several people will be using the same mat. 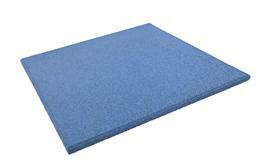 These foam gym mats are very lightweight and can be moved and stored easily. 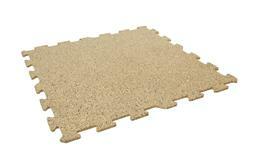 Great for home or commercial use, these mats are very easy to clean with the use of a mild soap and water solution. We also recommend the use of a disinfectant to help keep the mats hygienic.